Regina ceramic artist Jack Sures has been awarded the 2018 Governor General's Award for Excellence in the Fine Crafts. The Saidye Bronfman Award recognizes individuals who have made significant contributions to the development of fine crafts in Canada. The $25,000 annual award is one of the largest prizes for fine craft in Canada, and in addition to the cash prize, works by the recipient are acquired by the permanent collection of the Canadian Museum of History. 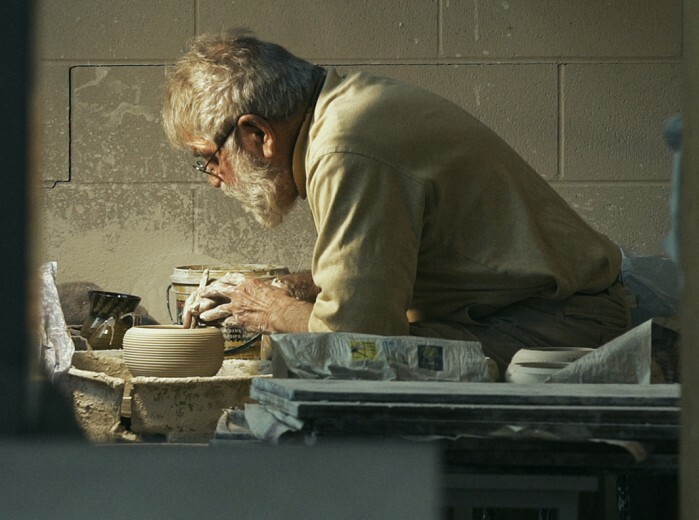 Among Sures’ many achievements, beyond a six-decade career of masterful creative work, is establishing the ceramics program at the University of Regina, where he taught for 33 years. He is also a recipient of the Order of Canada and the Saskatchewan Order of Merit. Two other 2018 Governor General's Award in Visual and Media Arts recipients have Saskatchewan connections: Adrian Stimson, a member of Alberta's Siksika First Nation and visual artist and performance artist, has an MFA from the University of Saskatoon; and Vancouver-based photographic artist Sandra Semchuk was born in Meadow Lake, Saskatchewan, and studied at the U of S, beginning her career in Saskatchewan before taking teaching positions at the University of Western Ontario in 1981 and Emily Carr College of Art & Design (since 1987).